Stephen (Steve) Withington : Advertising Ooops! Is This Ad for AT&T or Verizon? A co-worker of mine somehow spotted this ad while surfing the web today and I just had to share it. 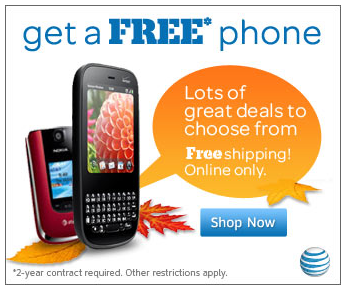 So, do you think this ad is for AT&T? Check out the Verizon logo on the top phone! The funny thing is, I wonder how in the heck my friend even spotted it. It's kind of hard to see but is that an altell phone in the back? it's definitely hard to tell, but that would be too funny ... makes me wonder if the agency that put this together did this on purpose. Rolex log type http://www.replicawatches0.co.uk I personally think that http://www.bestukwatches.co.uk definitely buy a watch that http://www.replicawatchesshop.co.uk will not regret, the classic appearance is http://www.replicasonline.me.uk definitely enduring. The lowest price of https://www.leez-extensions.co.uk sprint, light and breathable, natural https://www.cheaphairforextensions.co.uk molding, stylish and elegant, hand-crocheted top-spinning, one http://www.cirohair.co.uk mesh is realistic and breathable, natural https://www.extensionofbeauty.co.uk texture, perfect shape. Verizon has more inclusion for the web on the telephone aside from AT and T has quicker stacking time which I believe is progressively vital since I live in Manhattan. On the off chance that you live in a noteworthy city like this, get AT&T however on the off chance that not, get Verizon.